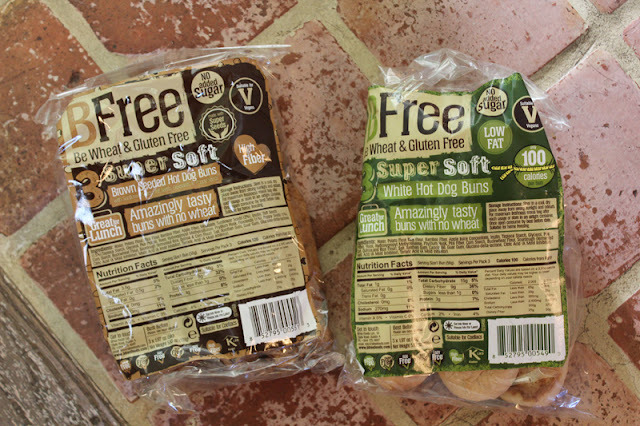 The world of vegan gluten-free bread options has really come a long way. Recently the folks at BFree reached out to me and asked if I'd like to try some of their breads. I'm not gluten-free personally, but a lot of the people I love are, so I like to know what's out there in the world -- so that we can "break bread" together. I always really appreciate it when people make a special effort to accommodate my vegan diet, and so I like to do the same for my gf peeps. Well, imagine my delight and surprise when I received a massive box full of so many goodies and loaves of bread and buns and rolls and bagels and wraps -- it was a literal bread box! 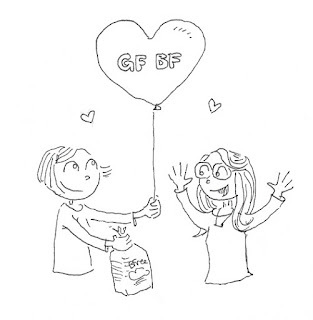 gluten-free goodies for your GF BF! avo toast, a timeless classic! I gotta say, as someone with no gluten issues at all, I am sometimes a bit wary of gluten-free goods. 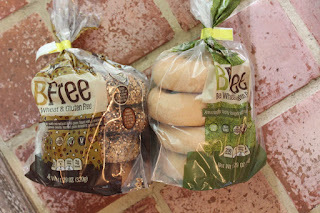 But I really like BFree bread -- it comes in two varieties: Soft White Sandwich Loaf and Brown Seeded Sandwich Loaf. 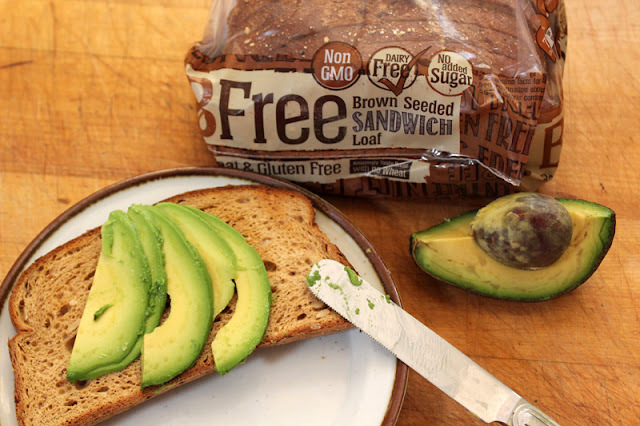 My loaves flew out of the bag in a hurry... for sandwiches, avocado toast, toast with jam, and various other quick and tasty snacks. The texture, as you can see, is airy and also a bit dense, and not too far toward either. The Soft White Loaf has a slightly more dense texture and, as you would expect, a more neutral flavor. 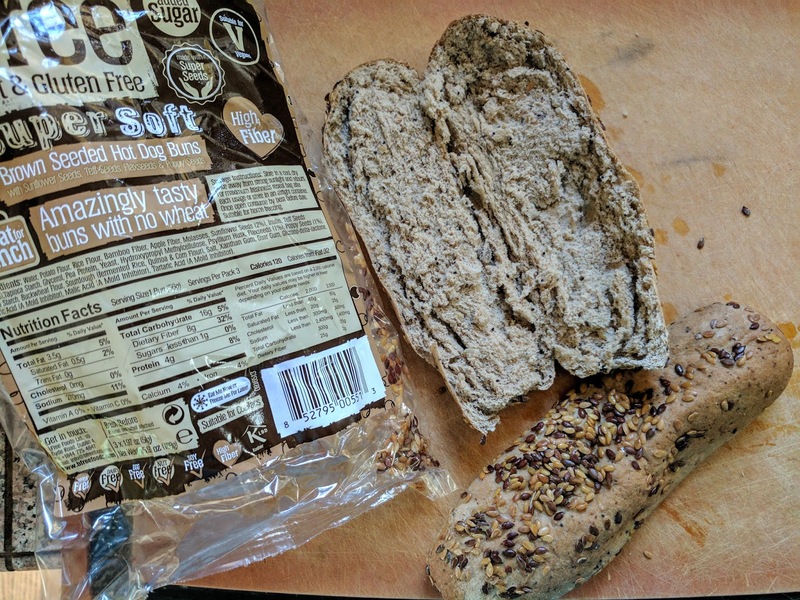 In the Brown Seeded Loaf, there are sunflower seeds and oats in the bread and more "whole wheaty" flavor. They are both great! Two bags of GF Bagels! The two bagel varieties are Plain and Multiseed - the texture is dense - like a proper bagel. 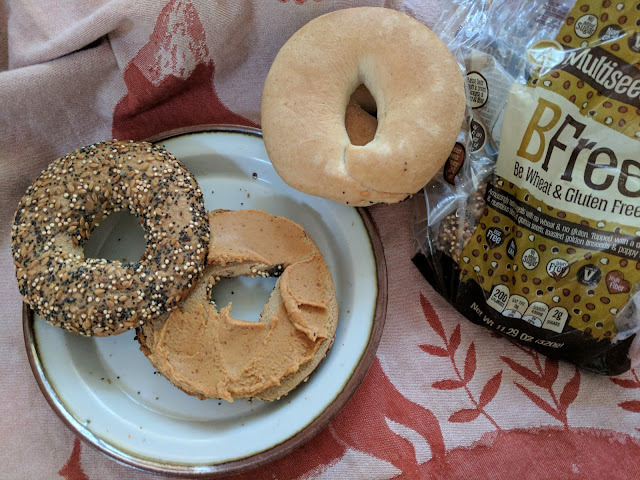 I toasted my bagels and had them with jam, Kite Hill cream cheese, or peanut butter... and enjoyed them all. I liked the plain ones better with jam and the seeded ones better with the more savory toppings. 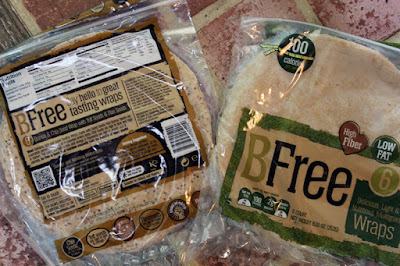 I also found that all of these BFree goods froze well and were easy to defrost and pop in the toaster oven any time I wanted one. In fact, I still have a few stashed in my freezer! 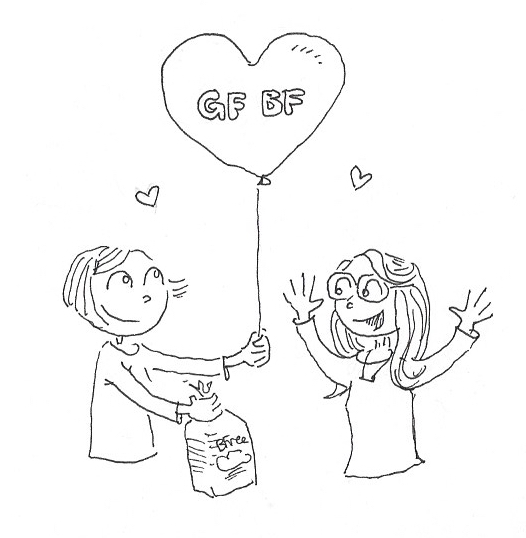 who needs champagne when you and your glutenfreebie pals can chink your bagels instead of your champagne flutes? Cheers! 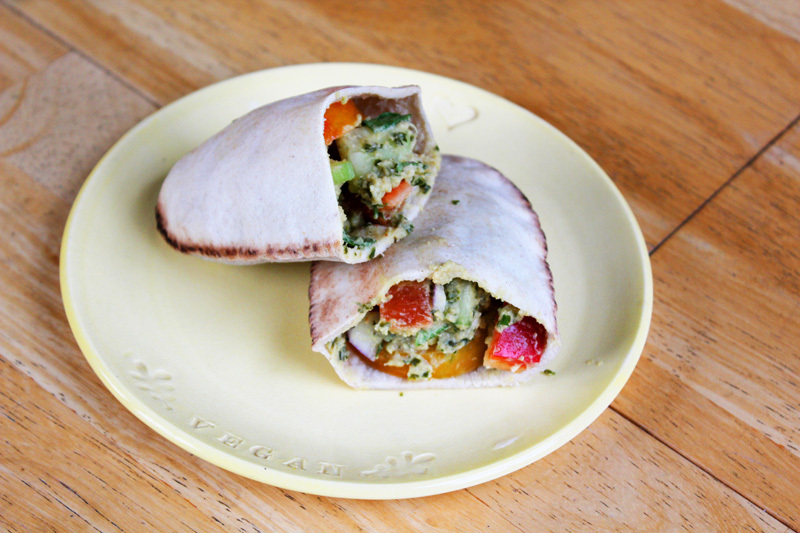 Gluten-Free Stone Baked Pita Breads!! 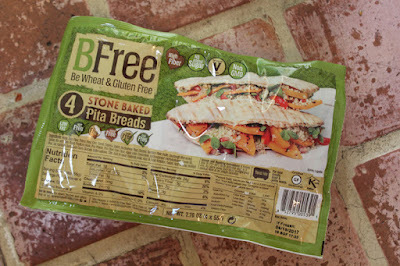 I was really impressed with these gf pita breads. They had a perfect baked browning on the edges on the exterior, along with a soft interior. They held up well, even stuffed full with hummus and tomatoes and veggies, but they also have a lovely taste. 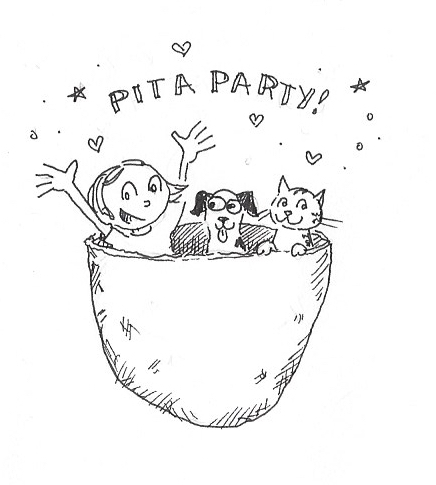 I like their oblong pita shape - for whatever reason pitas in the U.S. tend to be round - and I always like it when I can find oblong pita. I love how you can make a nice deep pocket of deliciousness in there! These really knocked my socks off. I shared a lot of my BFree treats with one of my GF besties and she was also super delighted to have some gluten-free pita breads. 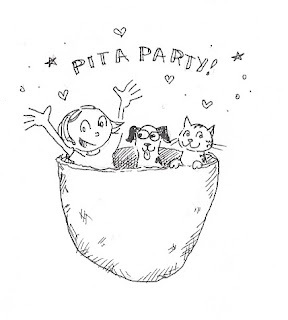 It had been quite a while since she had gotten to eat a pita bread! way better than a pity party! You can see the whole-grainy texture and color of the inside of the Brown Seeded Hot Dog Buns (I kinda man-handled this one with my knife, so it's a little beleaguered!) - and you can also see the flax seeds on the outside of the buns. 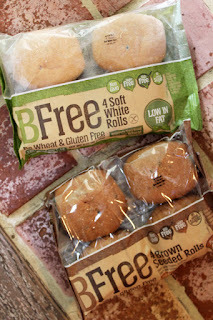 I'll confess that I liked these so much that I ate a couple of them as rolls with my lunch! It says on the bag that they are "super soft," and they really are! Such a nice flavor and texture in these rolls! I didn't get a picture of the inside of the white rolls before I "accidentally" ate all them, but they are just as lovely, with a more traditional hot dog bun flavor. 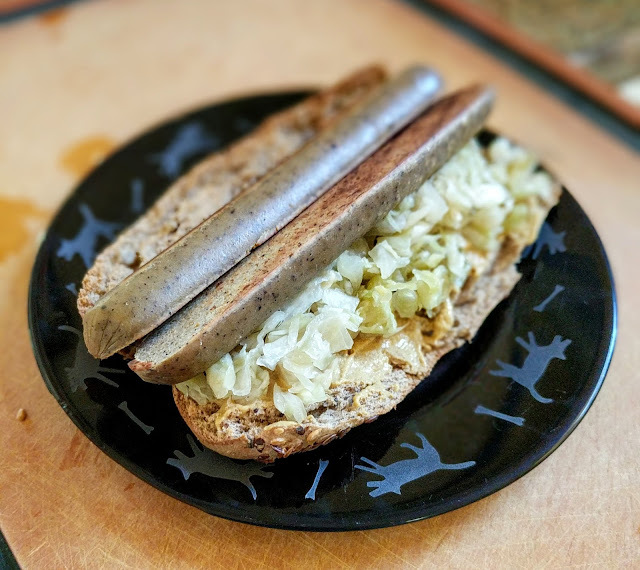 I enjoyed my GF hot dog bun with a glutenous Tofurkey bratwurst sausage! This was such a fun and delicious lunch - I slathered on a generous dollop of Dijon mustard, a big pile of sauerkraut, and my hot dog. So filling and satisfying - and the bun was just great - it stayed soft and chewy without getting soggy or mealy at all. Honestly, these products really changed my mind about gluten-free breads, they are leaps and bounds better than any gf bread I had tried previously. It's not like I'm an expert, but still. 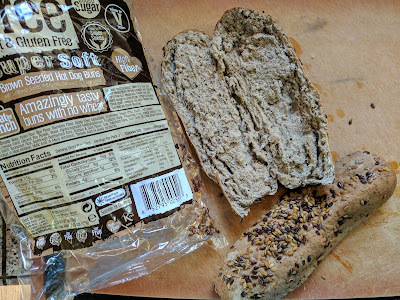 These breads really are good. I really love both flavors of these rolls! They are light and just the right balance of fluffy and chewy. You can see from my two pictures that the two flavors of rolls are quite different -- the white rolls have a nice "french bread" texture - not super airy, and also not dense. 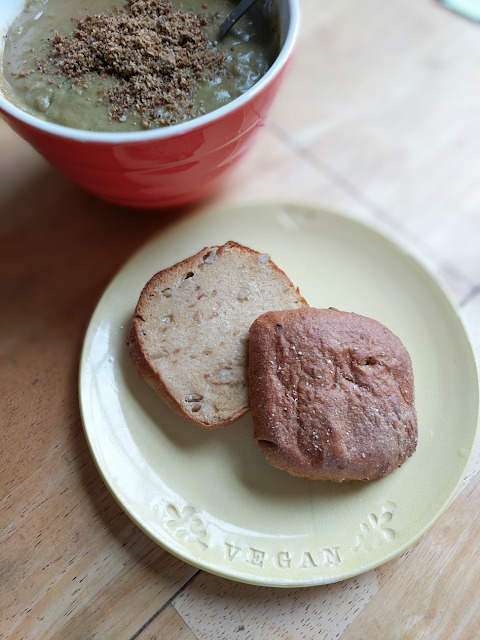 The brown seeded rolls have a seeds throughout and slightly more robust flavor. 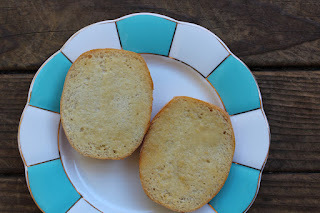 I enjoyed my rolls in simple ways -- just toasted with a little homemade vegan butter... which is kind of the true test. I also enjoyed some as "mini sandwiches," which was also great. They would make good mini slider buns! 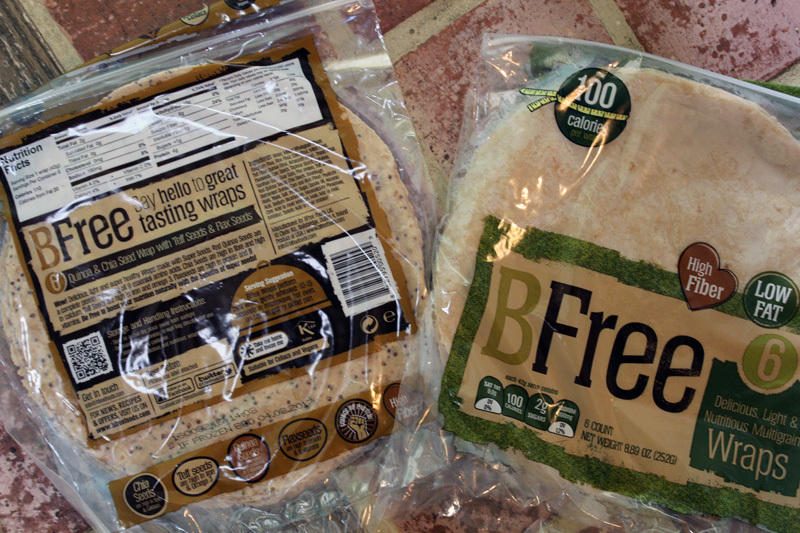 Bfree also makes two kinds of wraps/tortillas. I was happy with the flexibility and flavor of the wraps. 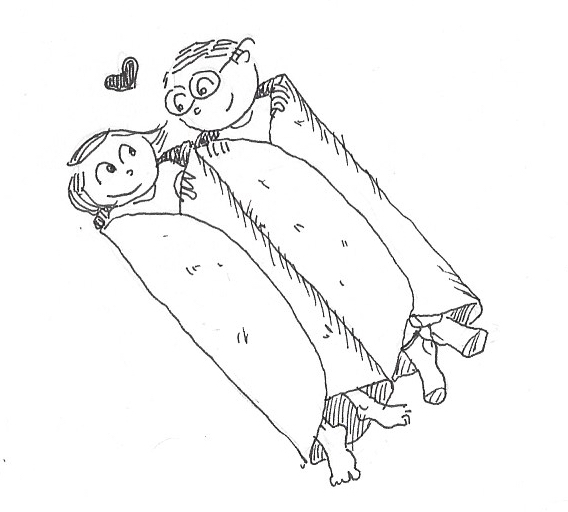 Waaaay back in the day, I tried a few gf tortillas that just cracked in half as soon as you tried to bend them. That was no good at all. 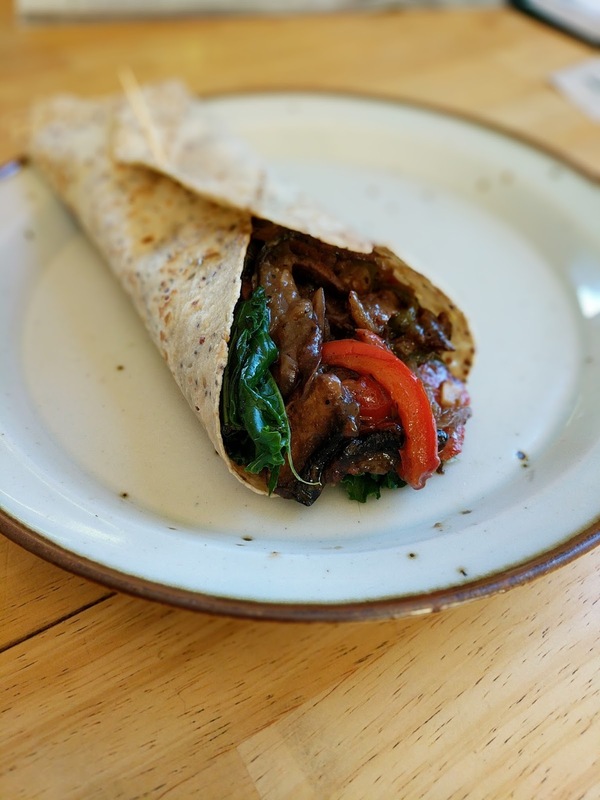 I warmed my wraps lightly in the toaster oven, just to take the chill off, and they were fantastic : tasty, substantial but not overwhelming, and durable. They held up great, even when stuffed full of goodies. I can definitely recommend these products -- especially to any of you who are gluten-free, or the next time you have a gf friend visiting or coming over for dinner! Wow, they sure did send you a lot! I'm going to share this post with my gf sister. I have to admit I haven't been impressed with gf baked goods I've tried so it's nice to know there are good options out there. Those are some seriously impressive breads! I'm amazed at how far gluten-free goods have come in just the past few years. I would totally eat these, and as a gluten-lover, that's saying a lot. "I always really appreciate it when people make a special effort to accommodate my vegan diet, and so I like to do the same for my gf peeps."